James Miller is rather good at Super Smash Bros. 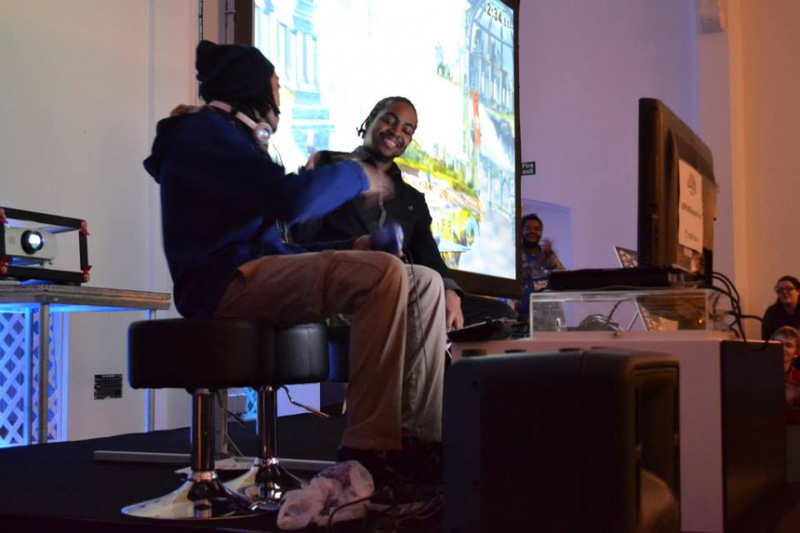 He recently won Nintendo UK's Super Smash Bros Invitational event at the MCM Comic Con in Birmingham - a massive achievement for many players but merely another title in Miller's eyes; he's already made his presence felt in the UK's Smash community several times in the past and recently claimed the Smash title at Hypespotting 4. While we know all about North American Smash players it's not often you hear about a UK-based master, so we decided to hook up with James and ask him a few questions. Nintendo Life: When did you start playing Smash, and which version do you consider to be your favourite? James Miller: I started playing the Smash Bros. franchise competitively from 2008, my dedication being completely focused on Brawl other Smash games I would enjoy as a spectator. 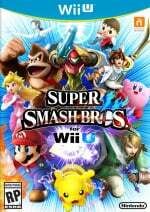 My personal favourite Smash game is the Wii U version; I feel it worked on or the rougher edges, balancing and gameplay issues that Brawl suffered with in the long run. Although there were many aspects of Brawl that in my eyes went under appreciated; it may not be as exciting to watch for people if they do not understand what is going on, but for those who appreciate what is happening before someone takes a hit it can be very intense. Finally, Brawl really helped with my decision making. You were punished accordingly for being impatient and because there was at times a lack of long lasting combos, you needed to correctly place your offense and back it up with strong defence. For these reasons I still really still appreciate Brawl. You're known as being a strong Luigi player. What are the character's strengths and weaknesses? Luigi in Smash for Wii U excels in close quarters combat and is one of the best in accumulating damage at an alarming rate. He boasts an amazing jab/boxing game, grabs that in all directions have purpose and tilts that forcefully send the opponent airborne for more potential follow-ups. His Smash attacks are very quick and devastating in terms of knock-back once the percentage requirements have been met. His aerial attacks string well into each other and are notably fast start-up wise, and he has a strong neutral game due to fireballs from a safe distance and being able to walk and access what options to take next. Finally, his grab range is excellent. Luigi's weaknesses include poor airspeed, as when he is forced to be airborne his lack of mobility whilst attempting to land means he will be forced to take a risky option to land safely. You also have to consider the importance of needing to perfect shield as much as it is realistically possible - shielding as normal is simply not good enough if you want to stay at a CQC range, which is why characters who excel with projectiles and zoning can be problematic for Luigi. His recovery is not absolutely awful, but it is a weaker aspect of his overall game. Green missile (Side B) is useful for horizontal recovery attempts, however the recovery is notable as long as understand what you are up against. Up-B is decent, no real problems other than needing to recover low enough to not be punished however. It becomes an issue when you have to take in to account you can be potentially forced into a reoccurring situation. Ledge trumping or your opponent patiently waiting at the ledge to repeat the process now means Luigi has to correctly mix up sparing use of fireballs, aerials and opt between Up-B and down-B to survive. Down-B's main weakness is once it has been initiated it is a commitment - if you hit Luigi out of it he cannot do it again and rise vertically or diagonally. He also suffered from a severe lack of range excluding fireballs. Also, you need precise movement when playing as Luigi as otherwise you take a pretty nasty halting animation which gives the opponent time to punish you. Are there any other characters you feel particularly adept with? I have a Little Mac, Lucario, R.O.B and some other characters who I can use fairly well as I give them a lot of time in either casual sets or the training mode. I'm not sure when I will use them in tournament but it's a possibility I will at some point, but for now at least I am focused on doing the best I can as Luigi. What have been your personal highlights on the competitive Smash circuit so far? My personal favourite Smash tournaments have been B.E.A.S.T. V, which was the biggest event in Europe for Smash 4 at the time and featured notable competition from players who wanted to win for varying reasons. Apex 2015 is a collective of the world's strongest players under one venue - these tournaments made my desire to get better a constant goal and one I'll find out in due time whether I've succeeded or not. Why do you think Smash has generated such a large presence on the competitive gaming circuit? Smash Bros. as a franchise is iconic regardless of which game you prefer. Nintendo has a strong library of characters to choose from and with so much history and dedicated fans, watching them come together to fight can either be intriguing or amusing, and fulfils those nostalgic thoughts of who would beat who in a contest. I believe this is why Smash in general has generated a huge interest. 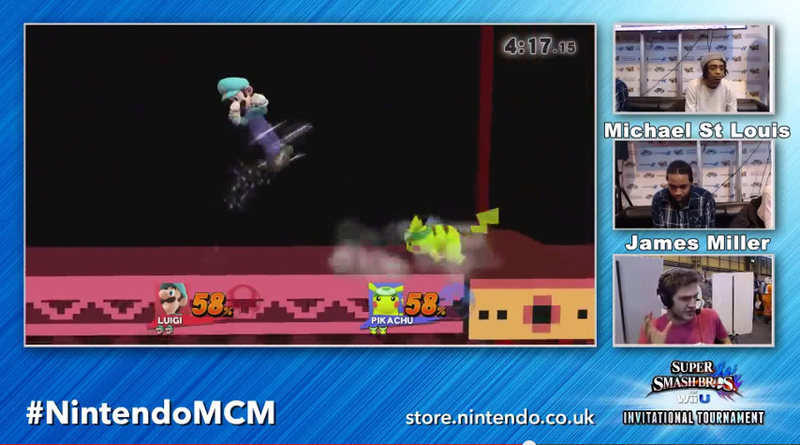 The Smash scene is pretty massive in North America, but is perhaps isn't quite as established here in the UK. Do you think the quality of the competition in this country suffers as a result? Definitely. In terms of gaming - for reasons I cannot truly explain - we are almost always lagging behind in terms of competition, which can be disheartening. The only thing I can truly suggest is that all of the strongest UK players show up to tournaments/casual meets ups when it is possible for them to do so to help grow the up and coming players. America is a bigger place where gaming in general seems to be more appreciated than it is here, at least in my opinion. It is up to the dedicated players no matter what your skill level is currently to want to get better to compete regardless of who you are about to compete against. What other UK Smash players should fans keep an eye on? IxisNaugus, Cong, Hoe4u, Deon, G.P., Plastic Poptart, Severe Calamari and Bulby, to name but a few. There are quite a few names that are actually missing from that list, however it is up to them when/if they will show their faces and play-styles, because although we lack in numbers there are players who are notably strong who sadly can't or don't attend tournaments, for differing reasons. If someone in the UK feels they're good enough to play Smash on a higher level, how should they go about getting involved? If you would like to get better or feel you are already at a stage where you would like to compete at tournament level, I highly suggest requesting to join the Facebook group SmashUK. it is here where events are announced and you have the opportunity to discover if anything is happening wherever in the UK you are living. Multiple Smash games are covered and it's a chance to meet many similar-minded people, and from there have a memorable time. What tips would you have for a anyone just starting out on the competitive circuit? Visit Smashboards. Learn Smash terminology - it comes with time and it helps as knowing abbreviations is less daunting. If you can't afford to play much, I recommend watching high level tournament gameplay so you can begin to understand and question why players make certain decisions. "Knowledge is power" - like with most things, knowing what to offensively and defensively is vital and if you are no longer ignorant of what to do, the next part is being able to execute your choice. How has Nintendo UK helped foster the UK Smash scene? Nintendo UK has helped immensely with getting people watching and allowing for competitions to be showcased. There have been many people telling me they were previously unaware of competitive Smash Bros. events and some express they would like to know a lot more than they currently do. In my opinion this is huge - we may not see immediate progress but if it at least is gradual then I will be very happy with future prospects. 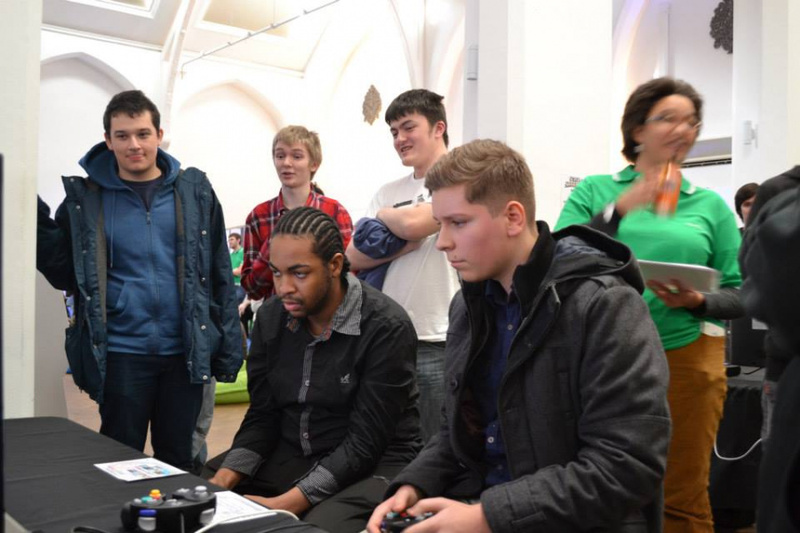 As a competitive Smash player, what are the biggest events taking place in the UK each year? We have been having monthly events in London which have been getting 80+ entrants and that is really impressive for what we were once used to. I know there are various other tournaments as well across the UK which have been doing well - I've just not been able to attend as many yet. What do you think the future holds for the Smash scene here in the UK, and abroad? Can it sustain its current level of popularity, and will Nintendo's proposed DLC updates keep competitive players interested? I am really unsure as to what the future holds for the UK. I'm keeping my thoughts realistic as I do not know whether the UK as a whole will continue to play or whether it will start fading away. I hope that the willpower of the UK will increase. I think popularity could peak, maybe have a period where it is not as exciting and then return as strong as ever but this is all just speculation and I hope I'm wrong. It would be nice to watch my game enjoy popularity throughout! Regarding DLC - I think it could bring balance issues. It can be enticing but it can also have a negative impact dependent on what is changed and how drastically. If the changes are deemed genuinely fair by all then we have a great formula - but it is hard to please everyone. In terms of add-on content I think it will keep people wanting to play and understand what it is they will be up against. LegacyofMinds: My team who want to help provide more tournaments and I want to be a part of the process. I have a great respect for the goals of this team and as you can tell I care deeply for this game. SmashUK – A strong passionate group where Smash is discussed. Heel Old Guard: My inner circle of friends who have helped me both as a player and person, they mean a lot to me. Thanks to James for taking the time to speak to us. All you guys could get was an interview with some unknown guy from the UK who plays Sm4sh? @TheRegginator He's far from unknown in competitive Smash. @Monado_III There's barely any info about him on the Smash wiki. Must not be that prominent. Brawl/Sm4sh players aren't really relevant anyway. @TheRegginator He is actually well known among UK smash players, its isn't NL's fault you are ignorant of the UK scene. A competitive player who hasn't decided get on the "Brawl sux" bandwagon nobody is allowed to question and actually fairly views it as its own game with its own pros and cons? I must be dreaming! Nice interview or Ninterview I guess. Not often that I hear someone liking Brawl over Melee in these interviews. I might play Smash 4 tonight. Now that is some low-quality bait. That Weegi is good. That Pikachu would have beat me too I can tell cuz I fought one like it(Probably a bit worse) before and lost...almost won the third one though. Anyway I'd like to play that well. I feel like I've actually gotten pretty good but I'm too stubborn to visit Smashboards and learn terminology lawl. This guy is amazing. I saw him take on Izaw's Link, amazing Smash Wii U battle. Great interview!